DRV8825 motorový driver, RepRap 3D. Modul pro řízení krokových motorů 3D tiskárny či jiných strojů, náhrada A4988. Umožňuje ovládat bipolární krokový motorek. Nastavitelné omezení proudu, tepelná a proudová ochrana. 6 rozlišení: full-step, half-step, 1/4-step, 1/8-step, 1/16-step a 1/32-step. Napájecí napětí je 8,2 - 36V. 1. simple steps and direction control interface. 2. six different steps resolutions: full step, half step, 1/4-step, 1/8-step, 1/16-step, 1/32-step. 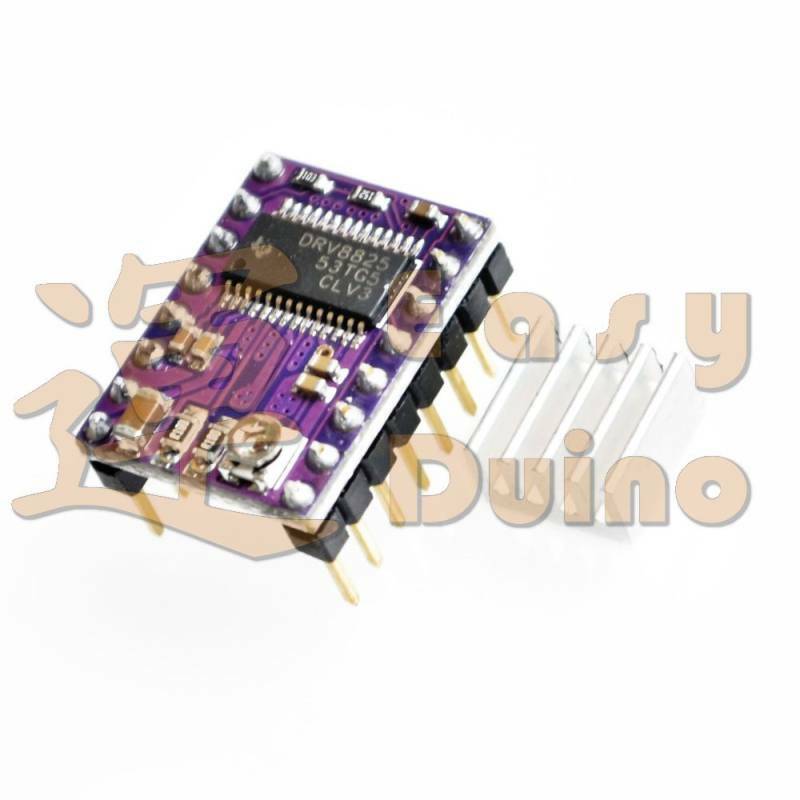 3.CAN interface directly with 3.3 V and 5 V systems. 4. Over-temperature thermal shutdown, overcurrent shutdown, undervoltage lockout. 5.short to ground short circuit load protection. 6. 4 Layer 2 oz copper PCB, in order to improve heat dissipation. 7. exposed solder ground below the bottom of the driver IC on the printed circuit board pad. 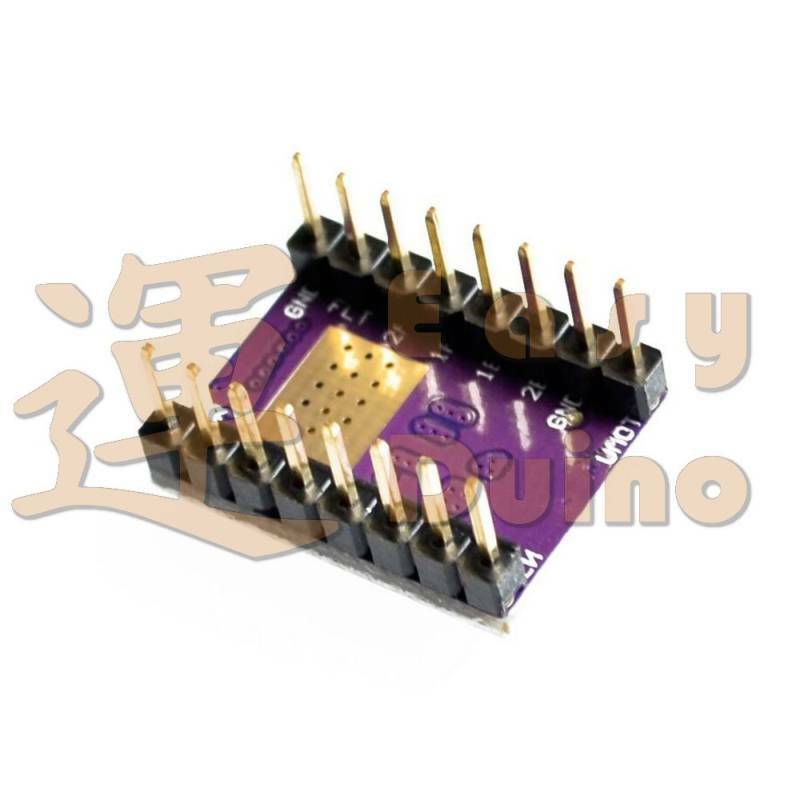 8. module size, pin and interface matching A4988 stepper motor driver operators in many ways. 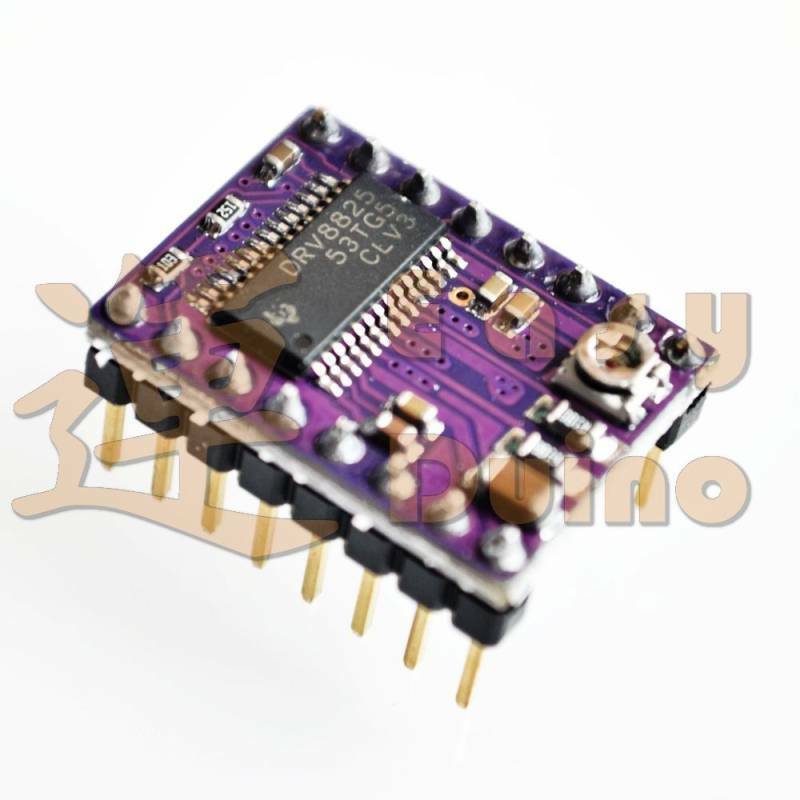 9. adjustable current control lets you set a potentiometer, which lets you use the stepper motor's rated voltage or more, in order to achieve a higher rate of maximum output current step. 10. Intelligent chopping control automatically selects the correct current decay mode (fast decay or slow decay). 11. Maximum 45V supply voltage. 12. Built-in voltage regulator (the need for any external logic supply voltage).